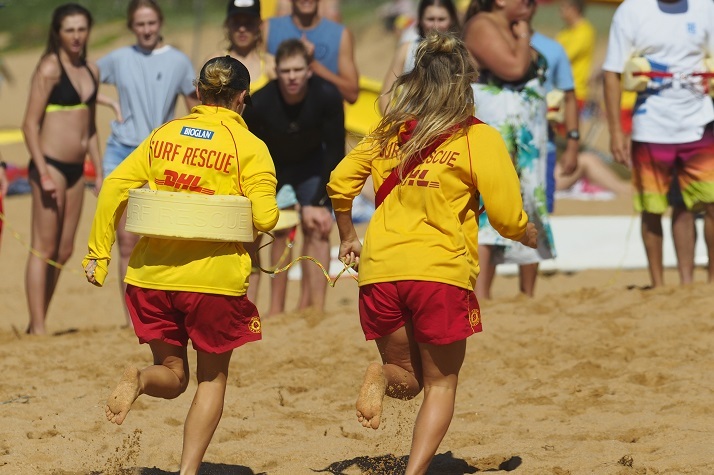 Our Nippers compete both on the beach and in the water, with the support of our amazing coaches, water safety and officials (all parents of the competition group). Entries can be done by using the Newport Comp Team App. Instructions on how to download the App are contained in the Nipper Booklet which can be accessed at the top of this page. We are excited to announce that our already strong training program will again be supplemented this season with support from Alisha and Jono from the Academy. Our principles are about inclusion, and providing the training opportunities to help all our nippers, new and old, to achieve to their potential. If your kids are new to competition, we’d love to meet you and introduce you to our program. Training sessions include Tuesdays at 430pm Winnererremy Bay, Thursdays 430pm, Saturdays 9am and Sundays 8am all at Newport Beach. This is a wonderful opportunity for all Nippers in the U8`s and above. We use TeamApp to communicate with our Competition Group. This is an excellent ‘real time’ resource containing details of upcoming carnivals, competition news, results, photos and copies of key documents. Please download the app and request access to the ‘Newport Jnr Competition Team’ via the App. If you already have access, you can also see an online version here. Parental support is required to make this program succeed. We ask that at least one parent in every competition family lend us regular support at carnivals and training. You do not need to be Bronze qualified to help (only required if doing water safety). Parents without their Bronze can do their Level 1 Officials Course. Contact Matt Halakas on the email address below if you are able to do this course. Remember we ask one parent from each competition family to be either an Official or to be Bronze qualified, not both. Being an official does not require you to get wet or acquire any water skills. A draft of the carnival timetable for this season can be found here. Please note this is a live document and is still being updated by SNB Branch. Any questions relating to competition should be directed to our Competition Development Manager. Brad Bartlem, Jeremy Paul, Karen Hennessey, Rod Stevens, Emma Links, Brendan Capell, Scott Newey. This team act with the backing of The Nipper Committee in the decision making and running of our Nipper Competition Team. Any requests or decisions made by the above members are backed by the Nipper Committee. Once again any questions relating to competition should be directed to our Competition Development Manager. Please remember that carnivals can only run with the support of parents and guardians of our Nippers. If you would like your child to compete for Newport then your continued assistance with water safety, officiating and gear transport is needed. Click here to go to the main Nippers page.